Using the sun's energy water can be heated for all different uses in residential and commercial applications. The advantages in energy savings are substantial. 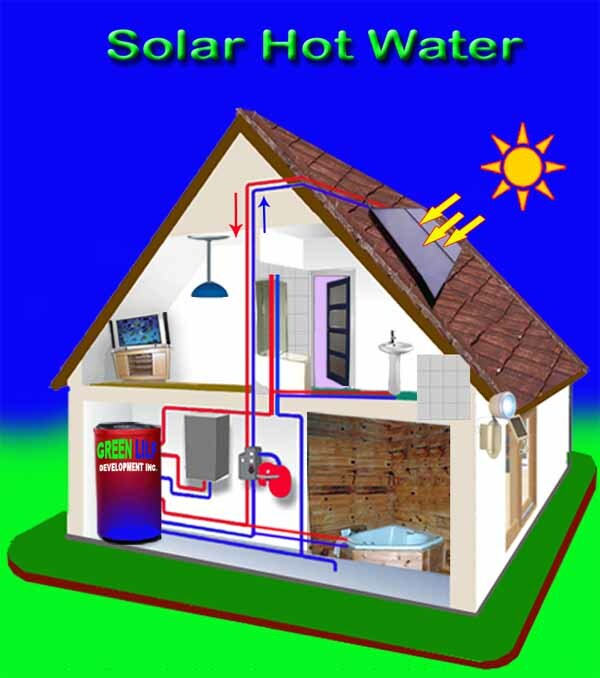 Solar Water Heating systems consist of various components. Panels are mounted on the roof or ground exposed to sun’s rays. Water circulated in the panel heats up and is stored in a water storage tank for use. The water temperature needs to be regulated as the water from the panels can increase to very high levels. A backup system provides hot water during cloudy days and other times. A system can be passive or active and reach overall efficiencies of 96%. A properly designed and installed system can provide decades of trouble free operation with great savings in energy cost in addition to be environmental friendly. A solar water heater can be used to heat a pool or spa in addition to providing hot water for domestic usage. Radiant Heating is also becoming a popular application. Our trained personnel can design the best system for your needs. 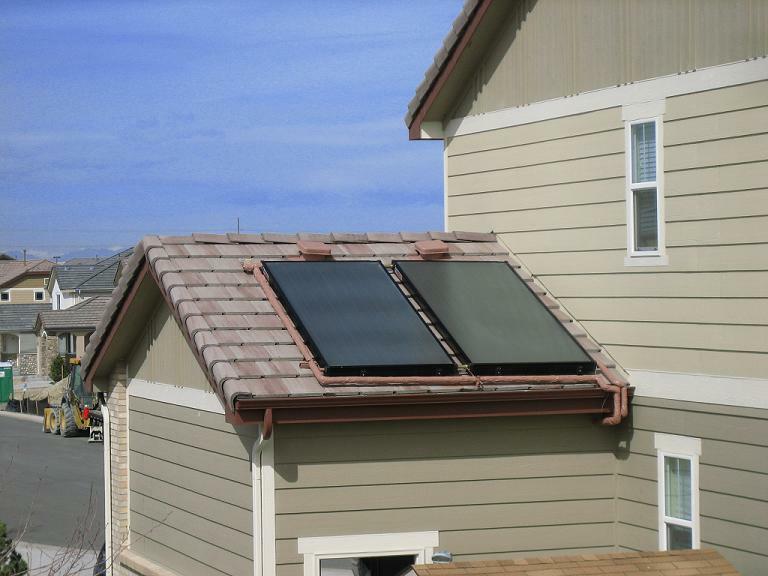 Current Tax Credit and Rebate incentives make Solar Water Heating even more affordable.